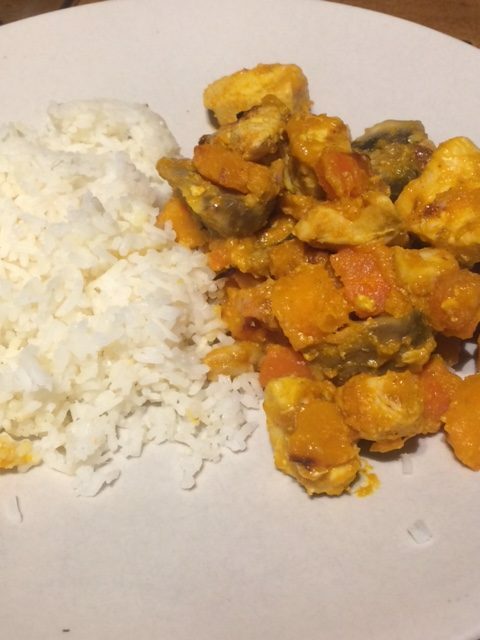 Simple Chicken and Butternut Curry. 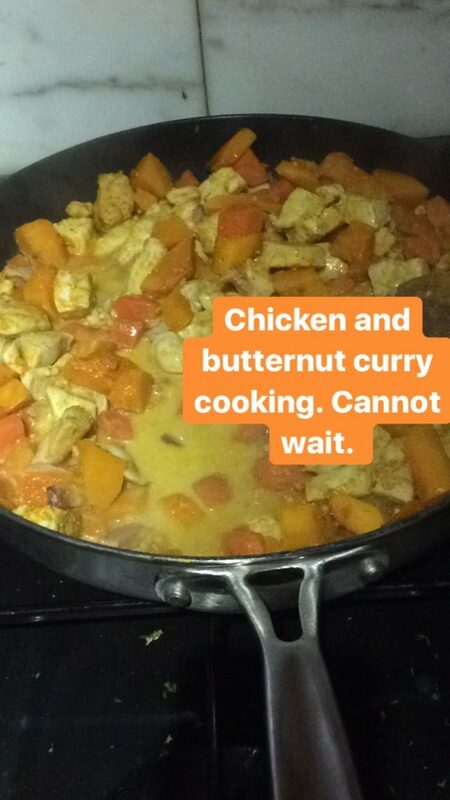 Comfort food for me is curry. Being half Sri-lankan it’s in my roots that curry is delicious, nutritious and part of life. For me a good curry must include fragrant spice, vegetables and lentils. Or at least have those as side dishes. I’m not about the greasy, ultra spiced up meals with lots of sauce and no veg. 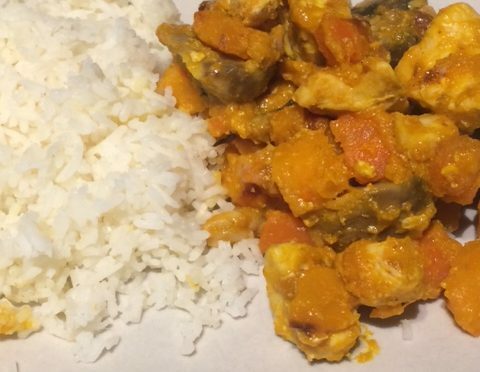 Curry can be a great way to be creative with vegetables and give them a twist. It doesn’t have to be time consuming or complicated but it does have to be tasty. Peel and chop the butternut squash (or use frozen chunks) and the carrots. Heat the oil in a pan and gently cook the butternut and carrots for 3 minutes. Meanwhile chop the chicken into bite sized chunks and set aside. Add the tumeric, coriander and cumin, it will smell fragrant and delicious. Stir around to coat everything. Next add the chicken and stir to coat. Pour in the coconut milk and add lentils. Top tip: if you use the smallest lentils they cook extra fast. Whilst this comes up to a simmer prepare the garlic cloves, I like to smash and chop mine. Grate the ginger and add the ginger and garlic to the pan. Finally add the chunks of mushrooms and simmer for a couple of minutes. Serve with rice and a sprinkle of coriander if you have it and your family will eat it (mine moan at the green stuff). I use frozen ginger and grate it with the skin still on, you could also use it fresh and peel it first.